Male great-tailed grackle eating next to a sign that says "Do not feed the birds"
RESEARCH SUMMARY: I aim to resolve fundamental questions about behavioral flexibility and invasion success using field and lab experiments, and to conduct my research openly and ethically. Logan CJ. 2017. We can shift academic culture through publishing choices [version 2; referees: 3 approved]. F1000Research 6:518 (doi:10.12688/f1000research.11415.2). Mikhalevich I, Powell R, Logan CJ. 2017. Is behavioural flexibility evidence of cognitive complexity? How evolution can inform comparative cognition. Interface Focus 7:20160121. Logan CJ. 2014. Making progress in non-human mental time travel. Frontiers in Psychology 5:305. doi: 10.3389/fpsyg.2014.00305. O’Donnell S, Kumar A, Logan C. 2014. Do Nearctic migrant birds compete with residents at army ant raids? A geographic and seasonal analysis. Wilson Journal of Ornithology 126(3):474-487. Carter AJ, Horrocks NPC, Huchard E, Logan CJ, Lukas D, MacLeod KJ, Marshall HH, Peck HL, Sanderson J, Sorensen M. 2014. 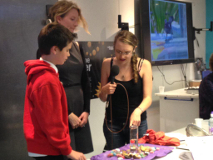 Junior scientists are sceptical of sceptics of open access. Trends in Plant Science 20:1-2. doi: 10.1016/j.tplants.2014.04.005. Logan CJ, Longino JT. 2013. Adult male coatis play with a band of juveniles. Brazilian Journal of Biology 73:353-355. doi: 10.1590/S1519-69842013000200015. O’Donnell S, Logan C, Clayton NS. 2012. 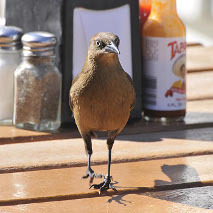 Specializations of birds that attend army ant raids: an ecological approach to cognitive and behavioral studies. Behavioural Processes 91(3):267-274. doi:10.1016/j.beproc.2012.09.007. O’Donnell, S, Kumar, A, Logan, C. 2010. Army ant raid attendance and bivouac-checking behavior by Neotropical montane forest birds. Wilson Journal of Ornithology 122(3):503-512. Logan, CJ, Montero, C. 2009. Bothrops asper (Terciopelo) scavenging behavior. Herpetological Review 40(3):352. Logan, CJ, Pepper, JW. 2007. Social learning is central to innovation, in primates and beyond. Behavioral and Brain Sciences 30:416-417. doi: 10.1017/S0140525X07002476. Tennant J, Gatto L, Logan C. 2018. Preprints help journalism, not hinder it. Nature 560, 553. doi: 10.1038/d41586-018-06055-3. Montgomery S, Currie A, Lukas D, Boogert N, Buskell A, Cross F, Jelbert S, Avin S, Mares R, Navarrete Rodriguez A, Shigeno S, Logan CJ. 2018. Ingredients for understanding brain and behavioral evolution: ecology, phylogeny, and mechanism. Comparative Cognition & Behavior Reviews 13:99-104. doi: 10.3819/CCBR.2018.130011. Powell R, Mikhalevich I, Logan CJ, Clayton NS. 2017. Convergent minds: the evolution of cognitive complexity in nature. Interface Focus 7:20170029. doi: 10.1098/rsfs.2017.0029. Logan CJ, Rowney C, Bergeron L, Seitz B, Blaisdell A, Johnson-Ulrich Z, McCune K. 2017. Is behavioral flexibility manipulatable and, if so, does it improve flexibility and problem solving in a new context? GitHub. McCune K, Rowney C, Bergeron L, Logan CJ. 2017. Is behavioral flexibility linked with exploration, but not boldness, persistence, or motor diversity? GitHub. Logan CJ, Bergeron L, Rowney C, McCune K. 2017. Does behavioral flexibility positively correlate with the number of food types eaten and foraging techniques used in a rapidly expanding species? GitHub. Taylor JE, Johnson-Ulrich Z, Bergeron L, Rowney C, Logan CJ. 2017. 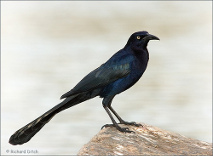 Feather mite variation across the range of a rapidly expanding species, the great-tailed grackle. GitHub. Logan CJ. 2013. 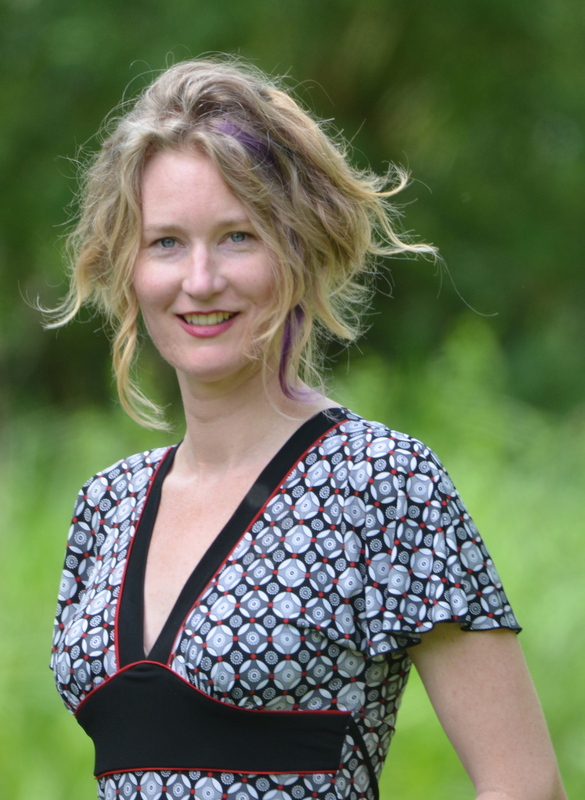 Life in the Field: New Caledonian crow cognition research. National Geographic Explorers Journal vlog. Logan CJ. 2012. A season of transitions. Gates Cambridge blog post. Logan CJ. 2011. Following the army ant-following birds. Oxford University Press blog post. Logan CJ, Emery NJ, Clayton NS. 2011. Squabbles and snuggles: how corvids handle conflict. Natural History Magazine, June, pp. 18-19. Logan, CJ. 7 July 2010. Settling arguments, the corvid way: Kiss and make up or snuggle with your partner? Why it matters what you do after a fight. New Scientist. Are small brains capable of sophisticated cognition? Summer Institute on Bounded Rationality, Max Planck Institute for Human Development, Berlin, Jul 2012. 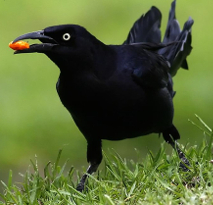 Behavioural contagion in rooks and jackdaws. 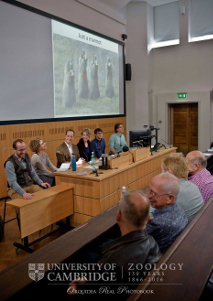 Association for the Study of Animal Behaviour, London, Dec 2010. 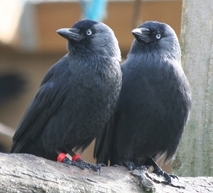 Behavioural contagion in rooks and jackdaws. 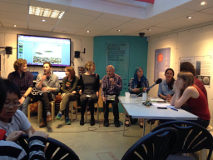 Learning, decision making and evolutionary theory: can we bridge the gap? An international workshop of the Israel Science Foundation, Kfar Blum, Israel, Nov 2010. Play behavior of Nasua narica (white-nosed coati) in Costa Rica. 12th International Society for Behavioral Ecology Congress, Ithaca, NY, Aug 2008. Comparing spherical densiometry and hemispherical photography for estimating canopy closure. The Wildlife Society Annual Meeting, Pendleton, Oregon, Apr 2007. Mikhalevich I, Powell R, Logan CJ. Is behavioural flexibility evidence of cognitive complexity? How evolution can inform comparative cognition. International Conference on Comparative Cognition, Melbourne Beach, Florida, 19-22 April 2017. Logan CJ. Behavioral flexibility in an invasive bird is independent of other behaviors. European Conference on Behavioural Biology, Vienna, 12-15 July 2016. Logan CJ, Breen AJ, Taylor AH, Gray RD, Hoppitt WJE. How New Caledonian crows solve novel foraging problems and what it means for cumulative culture. 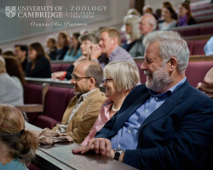 Association for the Study of Animal Behaviour Winter Meeting, London, UK, 3-4 Dec 2015. Logan CJ. Does innovation frequency indicate complex cognition? Behaviour, Cairns, Australia, 9-14 Aug 2015. Logan CJ. Formalizing a broad post-conflict affiliation hypothesis. For the symposium I organized on Post-conflict affiliation: applications for conflict management in humans. International Ethological Congress, Newcastle, UK, 4-8 Aug 2013. Logan CJ, Emery, NJ, Clayton, NS. The sociality and ontogeny of corvid postconflict affiliation. 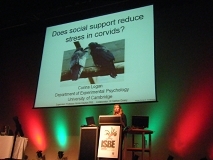 International Ethological Congress / Animal Behavior Society, Bloomington, IN, USA, 25-31 Jul 2011. Logan CJ, Emery, NJ, Clayton, NS. Does social support reduce stress in corvids? International Society for Behavioral Ecology, Perth, Australia, 26 Sep-3 Oct 2010. Logan CJ, Emery, NJ, Clayton, NS. The evolution and ontogeny of postconflict third-party affiliation in corvids. International Ethological Congress, Rennes, France, 19-25 Aug 2009. What corvids do after a fight. University of Cambridge Science Festival, Mar 2010. What corvids do after a fight. University of Cambridge Science Festival, Department of Experimental Psychology Open Day, Mar 2010. Play behavior of Nasua narica (white-nosed coati) in Costa Rica. Murray Edwards College Graduate Symposium, University of Cambridge, Apr 2009. Play behavior of Nasua narica (white-nosed coati) in Costa Rica. University of Cambridge's 800th Anniversary Science Festival, Mar 2009. Co-designed and taught graduate seminars in Psychological and Brain Sciences at UCSB: Interdisciplinary Approaches to Brains and Behavior (2013) and Behavioral science: are you doing it wrong? (2014). 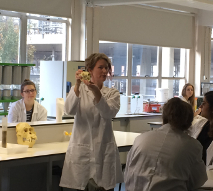 Course material was adapted to student interests throughout the term. Developed and delivered a writing workshop for final year students at Cambridge (2009 & 2011). Guest lecturer since 2012: Ethology and Behavioral Ecology (3 lectures - the main lecturer said that my lecture was the most popular in the course every year), Social Psychology of Close Relationships (1 lecture) at UCSB, and Methods in Field Biology (1 lab) and Seminars in Biology (1 lecture) at Santa Barbara City College. Committee member for 5 PhD students and 1 MS student in Germany, the UK and US. Supervised 32 undergraduate and 4 high school research assistants in the US and UK (since 2009). 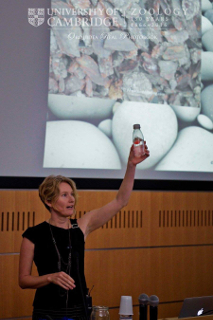 Advised in how to give talks and poster presentations, and apply for grants and PhD programs. Supervised ~40 undergraduates in Behaviour at Cambridge (2009 & 2011). Demonstrated lab practicals for ~500 undergraduates in Evolution and Behaviour and marked ~15% of their exams at Cambridge (2009-2011). Note: Since 2017, I only review papers at 100% open access journals at ethical publishers where the peer review history will be published alongside the article. Since 2011: performed 30 pre-publication reviews for 17 journals: PeerJ (Harrison and Whiten 2018), Ethology (6), Behaviour (3), Royal Society Open Science (3), Biology Letters (2), The Quarterly Review of Biology (2), Animal Behaviour (2), PLOS ONE (2), Behavioural Processes (2), Frontiers in Psychology (1), Proceedings of the Royal Society B (1), Philosophical Transactions of the Royal Society B (1), Current Zoology (1), Avian Research (1), Animal Cognition (1), Behavioral Ecology and Sociobiology (1), Behavioral Sciences (1), and for the International Ethological Congress 2013.